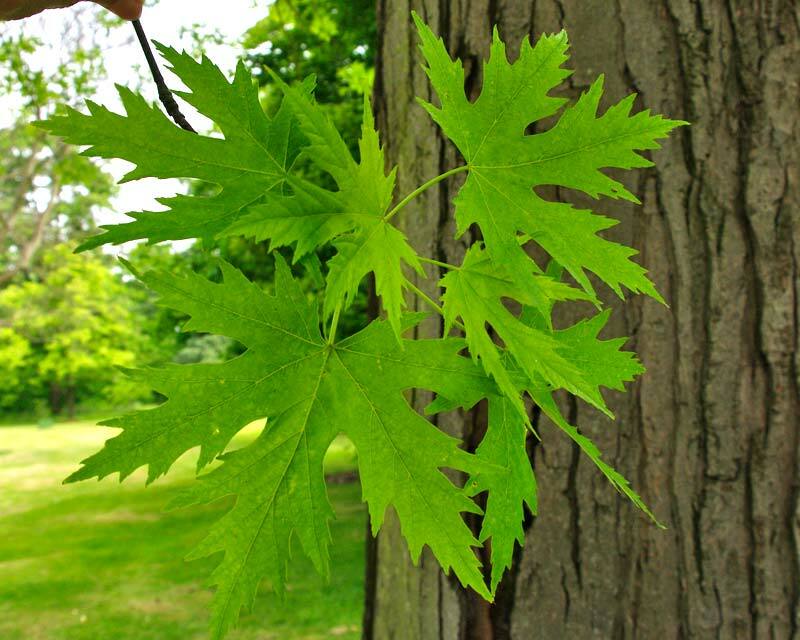 Acer saccharinum, or Silver Maple is a fast growing deciduous tree that is one of the most common in North America. 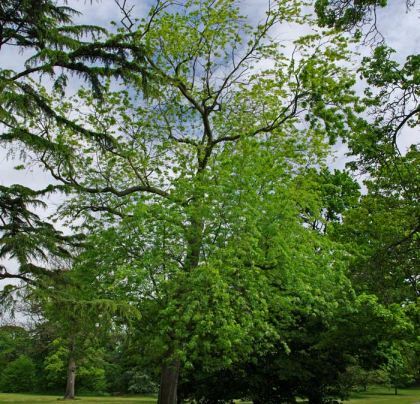 It is a tall, broad crowned tree that will develop multiple trunks and is also low branching. The cane-like branches damage easily but grow back quickly. The foliage is graceful and delicate being palmately lobed and veined. In autumn it makes a splendid display as the green foliage turns to a spectacular burnished gold colour. It is very hardy but prefers a cool climate and can withstand some water inundation. Often seen as a street or park tree due to its attractive appearance when in leaf. Also goes well along side waterways. Soil: Prefers organic material rich soil though will grow in most soil conditions. Neutral to acid soils produce the most spectacular autumn colours. Maintenance: Does not like full sun in warmer climates - the warmer the climate the more shade it needs. Keep up the water in warmer climates and seasons. Diseases: Borers, leaf feeders and scale insects can be a problem at times. Other Species: Around 110 species - all from the northern Hemishphere. Comments: Not for the small garden. A good source of food for wildlife, especially as it produces a huge amount of samara seeds which squirrels in particular love. The timber is used extensively in furniture, flooring, musical instruments and tool handle making and it also makes good pulp for paper.